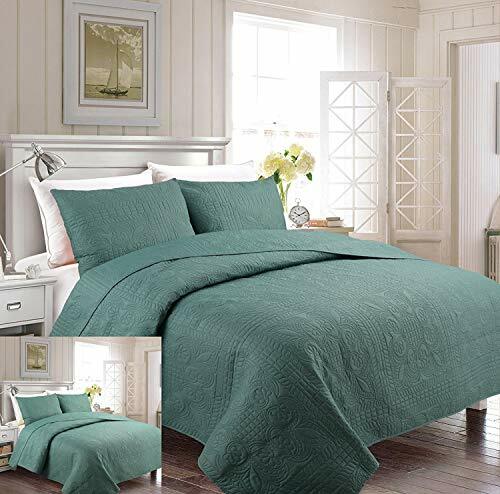 Size:California King | Color:Agua This 3-pc bedspread set with high-tech supersonically stamped geometric patterns (Copyright pending, Case No: 1-5732640911) will refresh your bedroom and bring extra comfort to your bed. 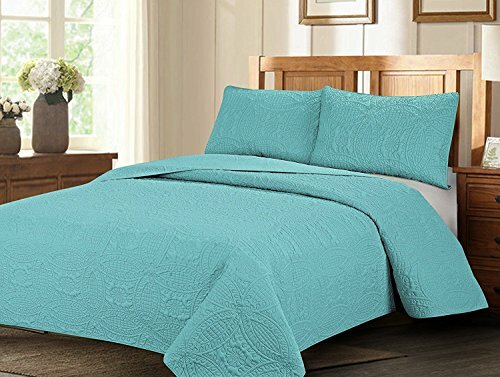 The supersonic stamping technology not only eliminates all the quality problems caused by the traditional quilting and sewing but enhances the comfort and outlook as well. 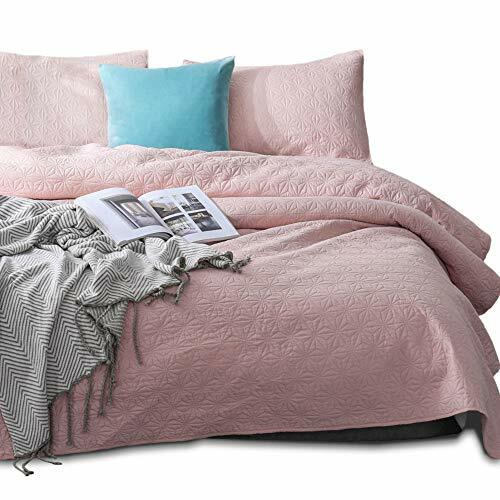 Set includes 1 oversized bedspread and 2 shams and is available in 9 colors. Pattern: geometry Care:Machine wash cold and Tumble Dry Low. 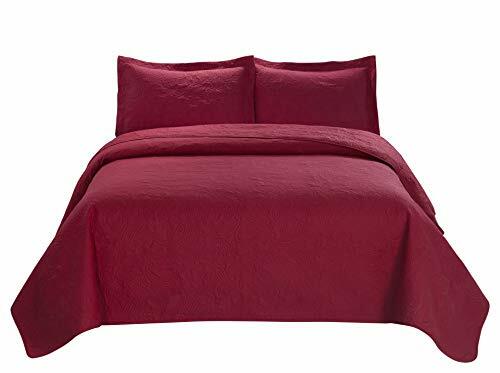 Queen Size: Bedspread 100"x 100", 2 shams 20'x 26" King Size: Bedspread 118"x 100", 2 shams 20"x 36" California King Size: Bedspread 118"x 100", 2 shams 20"x 36"